Most drivers know that braking means slowing or stopping a vehicle. The mechanical aspects of the brakes themselves are just one issue. There’s also the power brake system and brake fluid. And then there are the tyres, which are critical to the effectiveness of the brakes. 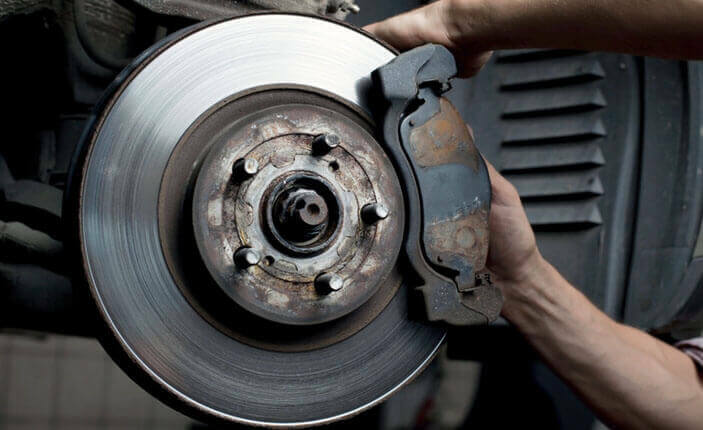 When a car or truck rolls off the dealership showroom floor it has brand new brakes with brand new brake pads. The brake lines and the power assist are filled with fresh fluid and are completely clean inside. And the tyres are brand new, with full tread. Naturally, braking power is at peak performance. Now, as your drive around Hawthorn, Glen Iris and Camberwell the kilometers start to add up. Most car owners tend to focus on the brake pads. In the automotive service community, the pads and shoes on drum brakes are called the friction material. That’s because they provide the friction used to stop the vehicle. The pads are designed to be effective throughout their useful life. It’s not until they are worn so thin as to be out of spec that they lose stopping effectiveness. The mechanical parts of the brakes have pistons and springs that get quite a workout when stopping the vehicle. Over many kilometers, these parts wear and get gummed up. They start to lose effectiveness gradually and could even fail. That’s why a regular brake inspection is so important. At The Workshop Hawthorn we can test the operation of the brakes and see if any parts need cleaning or replacing. That leads us to the brake fluid service. Some of the critical additives in the fluid that lubricate and clean the vehicle fluid system are depleted over time. That and moisture building up in the system deteriorate the performance of the brake fluid. Brake fluid replacement includes flushing the brake system to clean out water and dirt deposits. The system is then filled with fresh fluid. Like the brakes the clutch operates with friction materials doing the hard work of disengaging and re-engaging the engine as you change gear. Over time the friction material wears and loses its ability to operate efficiently causing clutch slippage, shudder or difficulty in gear selection.